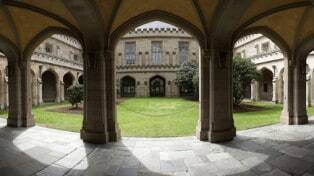 More young Australians are choosing higher education than ever before. 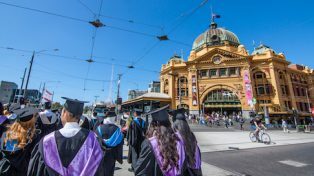 The recent Grattan Institute report Mapping Australian higher education 2018 found that two in five young Australians now attend higher education. In 1990, only one in five did. 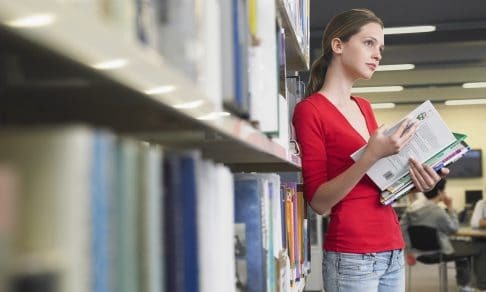 As higher education participation grows, the benefits of going to university are becoming less certain. Graduates are increasingly finding it difficult to get jobs that require their qualification; more and more graduates are working in jobs that only require a Year 12 certificate. At this Forward Thinking event, Dineli Mather, a Pro Vice-Chancellor at Deakin University, Phil Lewis, an Emeritus Professor at the University of Canberra, and the Grattan Institute’s Ittima Cherastidtham discussed if higher education is still a good option for young people. Which courses are the best insurance against poor employment outcomes? Professor Dineli Mather is the Pro Vice-Chancellor (Graduate Employment) at Deakin University. In this role, Dineli is responsible for Deakin’s graduate employment strategy and is the Head of the Graduate Employment Division which runs the DeakinTALENT operations. Dineli has held a number of senior academic management roles at Deakin prior to taking on this executive role including Deputy Dean of the Faculty of Business and Law, Head of the School of Information Systems & Business Analytics and Director of Work Integrated Learning. Dineli has a Bachelor degree in Mathematics from the London School of Economics, a Master degree in Operations Research from Lancaster University and a PhD from Monash University. Professor Phil Lewis is Emeritus Professor of Economics at the University of Canberra, Visiting Professorial Fellow at the University of New South Wales and Director of the Centre for Labour Market Research (CLMR). Phil is among the best-known economists in the area of the economics of employment, education and training in Australia and is the author of over 100 publications including journal articles, book chapters and books including the best-selling Essentials of Economics. Apart from a distinguished academic career he has worked in government and has produced a number of major reports for the private and public sectors. Phil is the editor of the Australian Journal of Labour Economics. Ittima Cherastidtham is the Higher Education Fellow at Grattan Institute. She is the author and co-author of articles and reports on higher education issues. These include Mapping Australian higher education 2018. Ittima was involved in recommending various policies adopted by the Commonwealth Government. Prior to joining Grattan, Ittima worked at the Melbourne Institute on various projects including a report commissioned by the Commonwealth Government. She holds Bachelor degrees in Economics and Engineering and a Master degree in Economics from The University of Melbourne. Megan French is the Marketing Manager for Grattan and the producer and host of the Grattan Institute podcast. Her previous roles in Melbourne have focused on event management, particularly in corporate environments as well as brand management, marketing and relationship building. Prior to this, Megan spent 5 years with the Department of Education Queensland, primarily as a policy advisor.